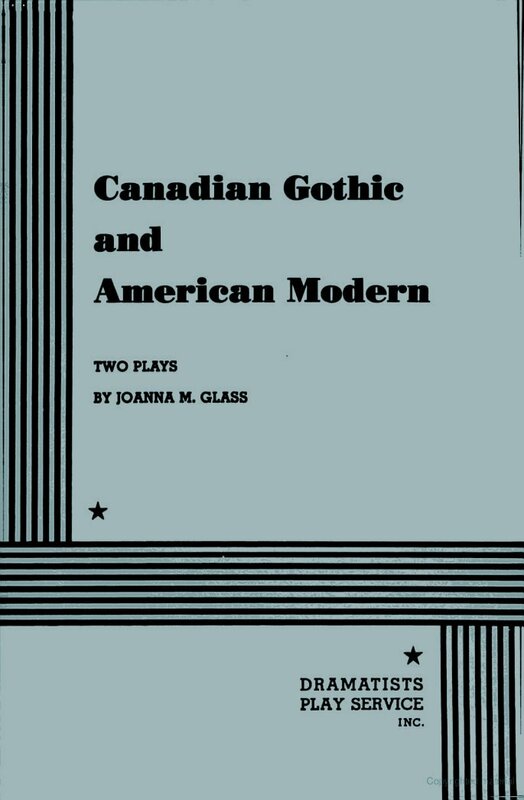 Canadian Gothic and American Modern are two one-act plays by Joanna McClelland Glass. The plays may be presented separately or as an evening of entertainment. Canadian Gothic and American Modern were first produced at the Manhattan Theatre Club in New York City in 1972. The Canadian premiere took place at the Pleiades Theatre in Calgary. The show was adapted for radio by the CBC in 1974 and by the BBC in 1983, and remains one of her most produced plays. Joanna McClelland Glass is a Tony-nominated Canadian playwright. Born in Saskatoon, Saskatchewan, she studied theatre in high school and developed her abilities in community theatre. Shortly after moving to Calgary to work for a radio station, she won a scholarship to study acting at the Pasadena Playhouse. She then moved to New York, where she began to write. Her plays have been produced on Broadway, Off-Broadway, and in many North American regional theatres, as well as in England, Ireland, Australia, and Germany.